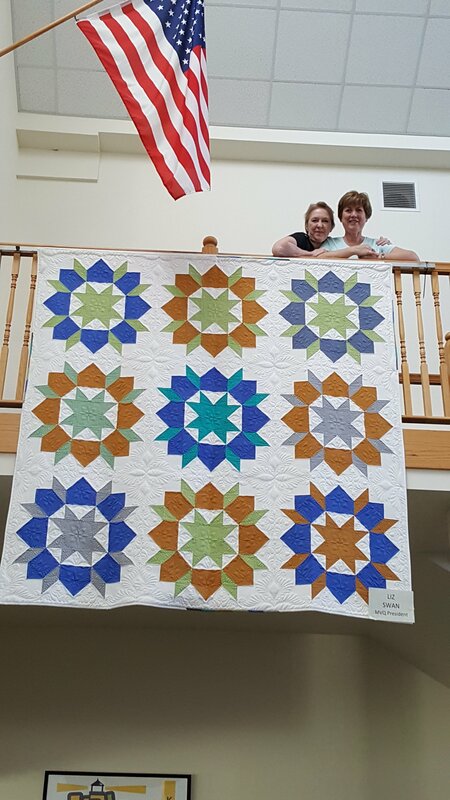 The guilds president’s quilt is up. Come join the fun. 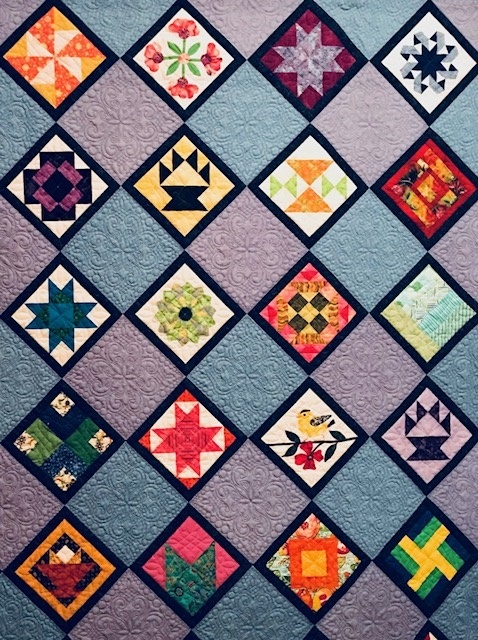 Quilt show is open Friday and Saturday. I am a new member. I signed up for helping out on Saturday from 12-2 doing admission tickets. A family member died two days ago and the wake and funeral are in NH on Saturday. I work Friday and have a 4.30 dr apt at MGH so I am busy tomorrow. I emailed Liz this morning but I have not heard back. I am sorry to have to cancel and I don’t want the other person to be alone. I’m not sure of whom to contact. Joyce, Linda was at the set up all day. Hopefully, she will get back to you tonight.